This report provides an analysis of global digital lifestyle trends in service categories, including broadband, television, digital content, and digital health, as well as connected home product categories, including home networks and connected consumer electronics. It includes five-year forecasts for select product categories. 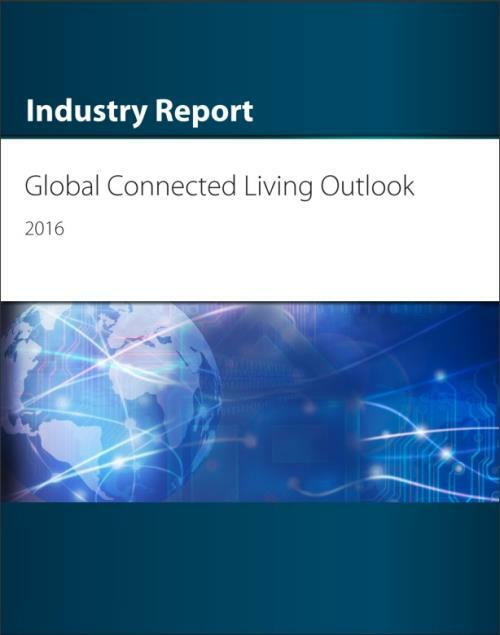 Global Connected Living Outlook: Pursuing the IoT Promise provides an analysis of global digital lifestyle trends as part of the emerging Internet of Things (IoT). Analysts identify innovations and opportunities in service categories, including broadband, television, digital content, and digital health, as well as connected home product categories, including home networks and connected consumer electronics. The report includes five-year forecasts for select products and services. - Analysis of global digital lifestyle trends as part of the emerging Internet of Things (IoT). - Innovations and opportunities in service categories, including broadband, television, digital content, and digital health, as well as connected home product categories. - Trends in supporting technologies, including access, cloud platforms, interoperability, privacy and security, technical support, and artificial intelligence. - Five-year market forecasts for gaming consoles, pay-TV subscriptions, smart home controllers, smart thermostats, professionally monitored security systems with smart home control, and connected light vehicles.